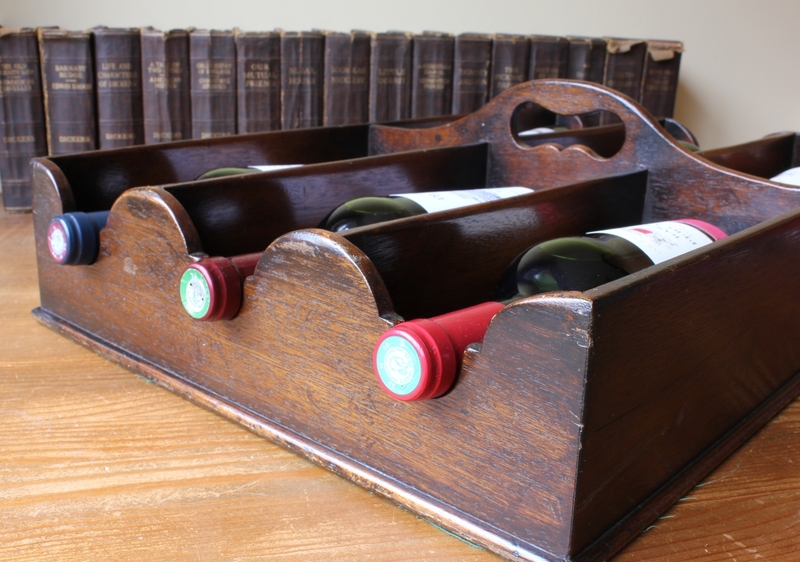 Mahogany Butler's 6 Wine Bottle Tray Carrier. 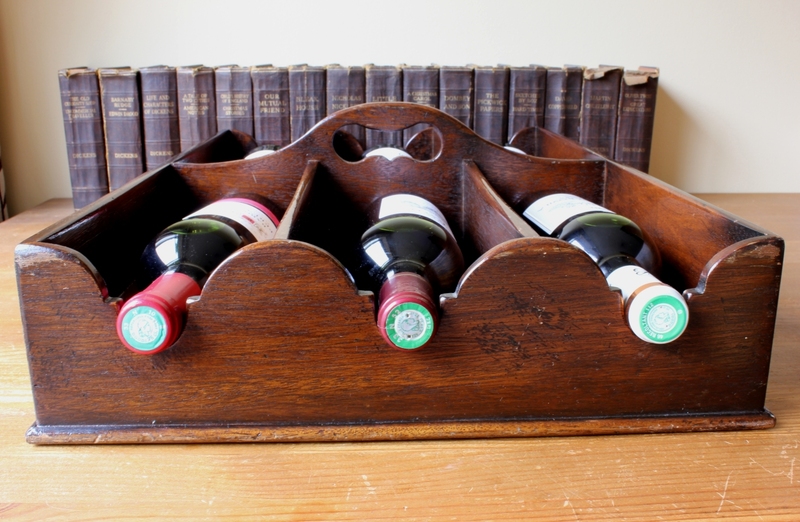 This handsome and unusual butler's wine tray which is made of solid mahogany, has mahogany dividers to hold 6 bottles apart from each other and has 6 ornate notches cut out in the sides for the necks of the bottles to rest. The holder has a styled central carry handle for easy lifting and the underside is covered in green baize. 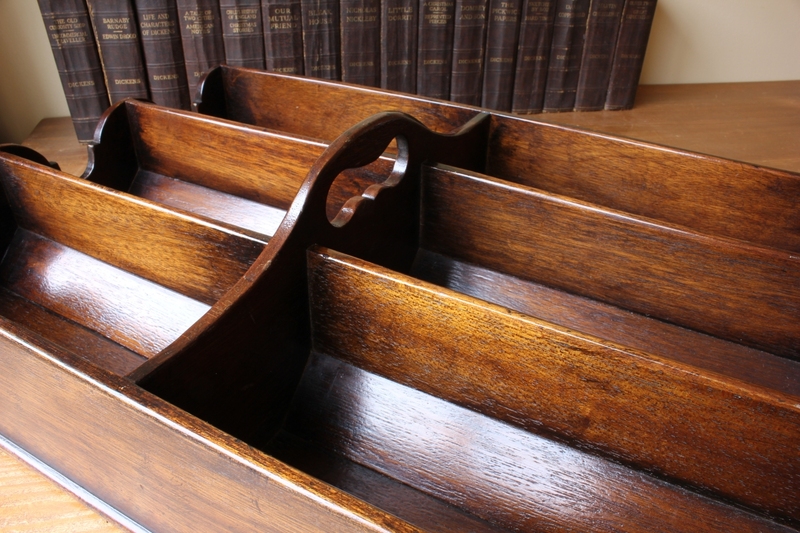 It has developed a wonderful warm patina, is excellent quality and a nice heavy weight. 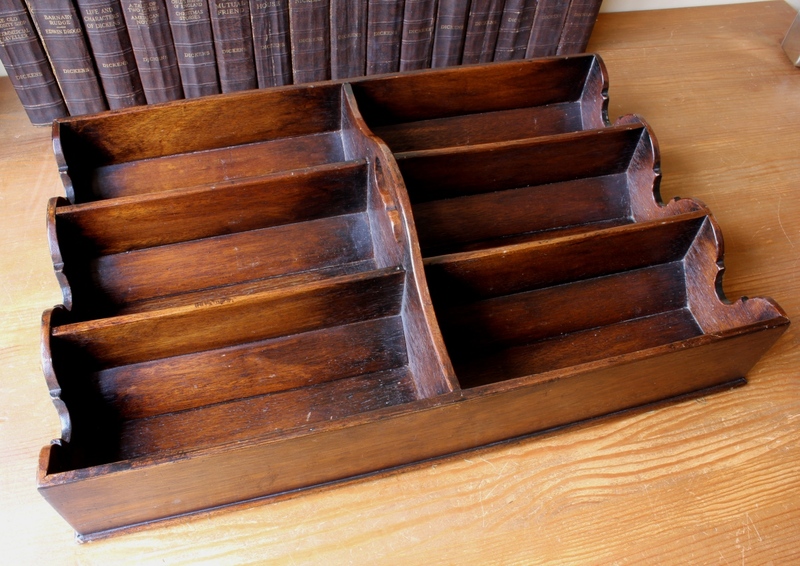 These butler's trays were used daily in wealthy homes by the butler to carry wine bottles from the cellar to the dining room to make sure that the bottles were positioned to prevent sediment from getting back in with the wine. 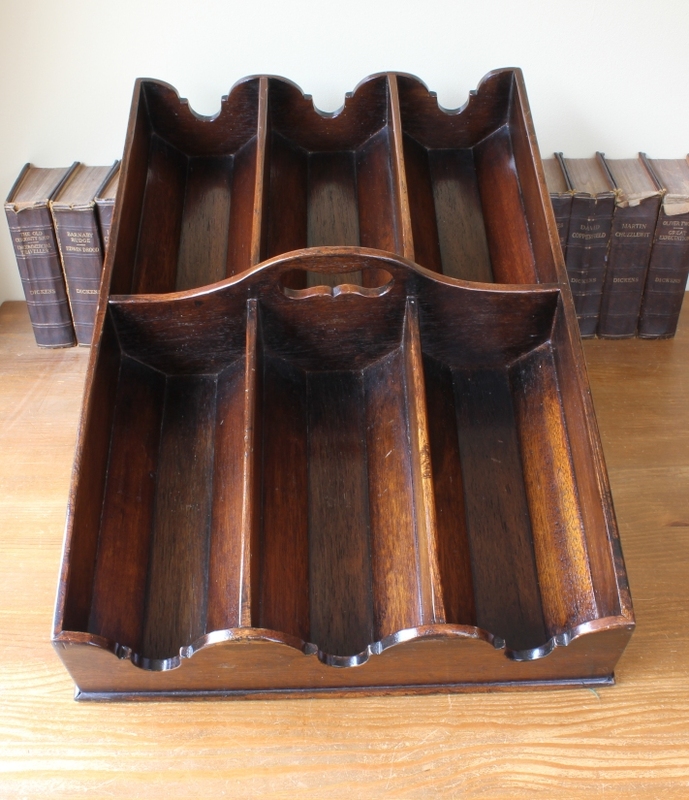 Wine trays of this quality rarely come available especially in such good original condition. 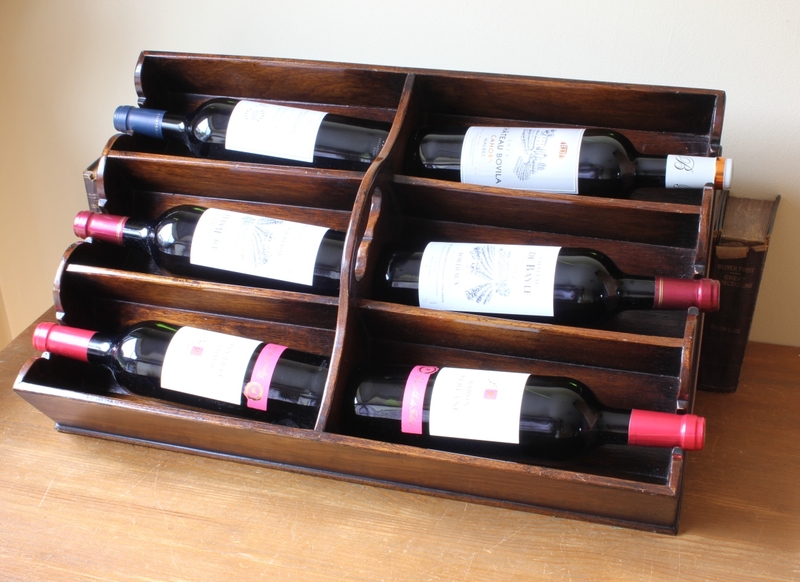 A really useful and usable wine tray that would look amazing on display in your home, a bar, restaurant or hotel. Length: 59 1/2 cm (23 1/2") approx. Width: 39 cm (15 1/2") approx. Height (to top of handle): 15 cm (6") approx. Condition: Very good used original condition with a wonderful warm natural patina and signs of use in keeping with age.